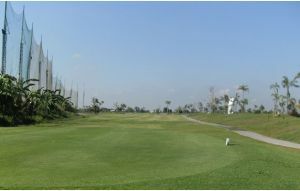 There are two, 18-hole golf courses at the Clark Sun Valley Golf and Country Club, the Dongwon Course and the Sun Course. The Sun Course is the slightly shorter of the two, measuring in at 7015 yards, whereas the Dongwon Course stretches to 7127 yards. 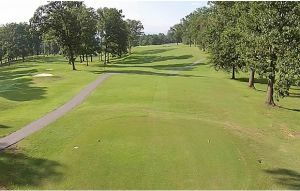 Both courses play to a par-72 and have a choice of three tee boxes, Red, White and Gold. 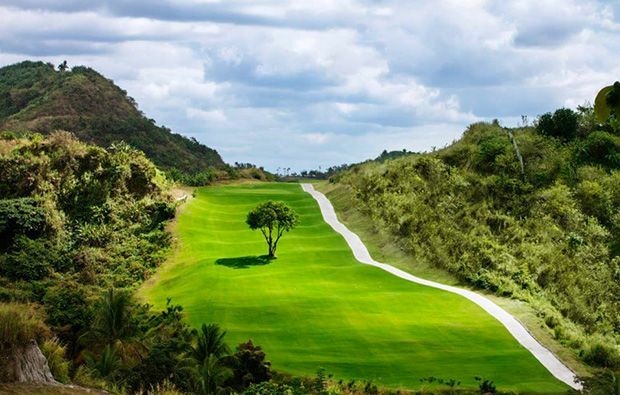 Both courses feature up-hill and down-hill sloping fairways and all of the fairways seems to have a degree of undulation to them, which is clear to the eye. 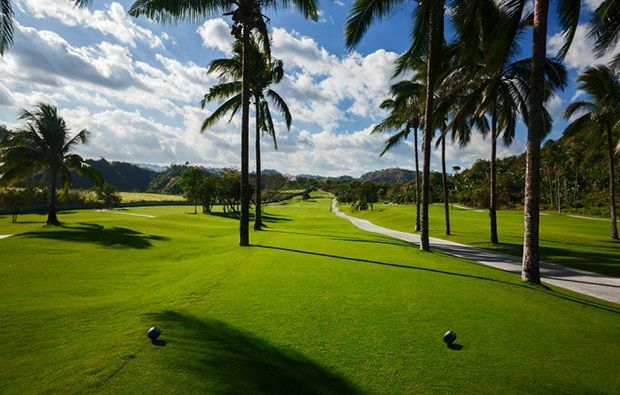 There are a large number of palm trees surrounding both courses, in addition to ravines and bushes, which can come in to play if the ball misses the fairway. 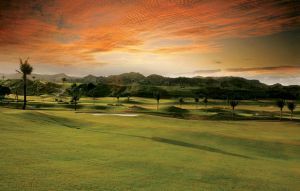 The greens at Clark Sun Valley Golf and Country Club are well guarded by bunkers and thick grass, so anything other than an accurate approach shot to the green, will be punished. 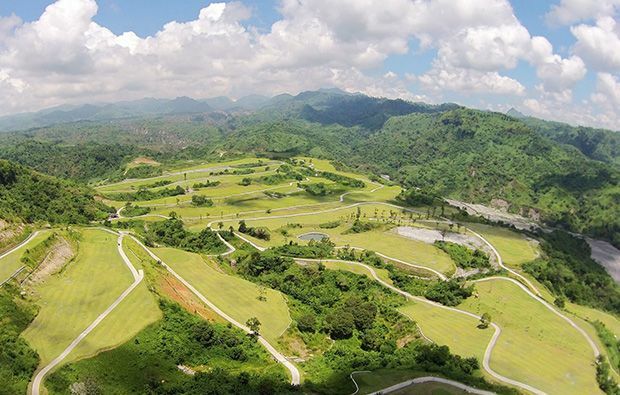 There are some terrific views of the surrounding countryside, including a panoramic view of Mount Pinatubo and additional streams and waterfalls in the area. At an altitude of 370 meters above sea level, it’s little surprise to find great views, from both the Dongwon and Sun Course. The club house offers some great facilities, including a very spacious locker-room, showers, restaurant, tea house and pro-shop. 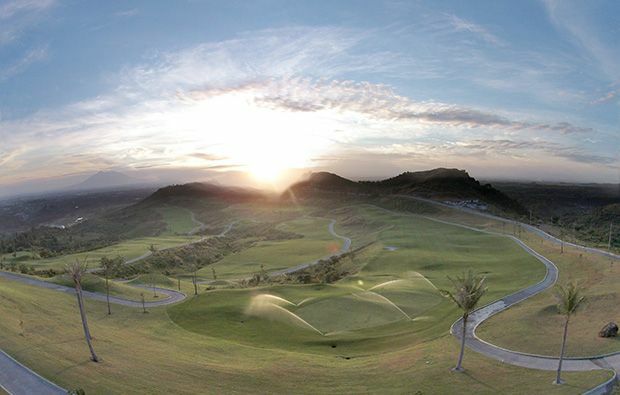 Membership is required to play the Dongwon Course but members of the public can book tee-times for the Sun Course, on a first-come, first-served basis, with times ranging from 7am until 1pm. 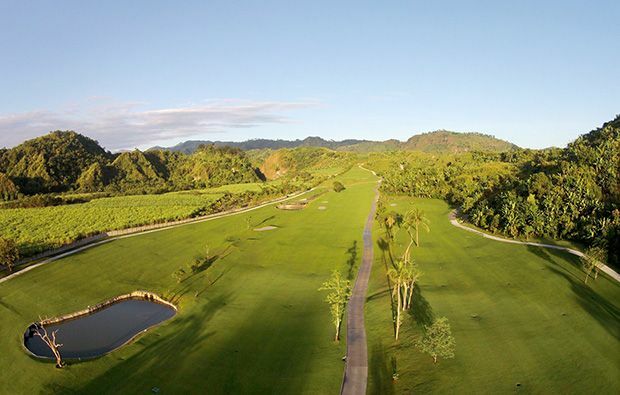 As mentioned above, Clark Sun Valley Golf and Country Club can make for an easy day trip from Manilla. However, it’s also possible to stay in the Sun Valley Hotel Clark and other local accommodation, such as the Holiday Inn Resort, Hotel Vida and Mimosa Golf Hotel. Clark Sun Valley Golf Country Club has different Services to offer. Choose a date and number or players to see the rates.